On June 16, 2006, the nonprofit 501(c)(3) corporation Educational Advisory Foundation, Inc. was formed in Nashville, Tennessee by Cynthia Howell. 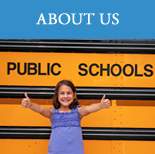 This organization is committed to supporting high academic achievement, outstanding instructional programs and facilities, and well-trained teachers in American public schools. The Educational Advisory Foundation is a foundation of educators and professionals who are committed to helping teachers improve and advance American education. 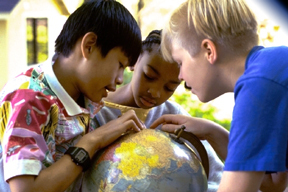 We believe that American schools should set the standard of educational excellence around the world. It is the Foundation's firm belief that education should promote and encourage students to develop an excitement for learning, fundamental skills for life, and their talents and abilities to their fullest potential. We also believe that the future of our country depends in part on the continued success of highly motivated, committed teachers in public schools across America. The American people have the right to expect that our public educational system will produce well-educated students who are knowledgeable and possess skills enabling them to contribute to the future of our democratic society and compete in an increasingly competitive world. The foundation is governed by the Executive Board, which is supported by the work of and in collaboration with committed staff members and the Board of Trustees. The Officers of the Foundation are the President, Treasurer, and Secretary and all of the officers are also working staff members. Our staff members consist of teachers, who have many years of experience, and advisors, each with specific expertise. They have been involved with public education for over thirty years and all members of the foundation are presently employed, retired, or have volunteered for our organization. Our members believe that their experience provides our organization with the knowledge and skill to find solutions to critical problems with American schools. We feel that our staff of professionals can resolve education problems better than some less experienced individuals and organizations.